It is a simple concept: Our Boston, Massachusetts entrepreneurs need help, our country needs help and our economy needs help. By giving our Boston community small business owners the help they need. our country and our economy will get the help it needs. Shopping on Main Street is not enough. In today’s economy, the entrepreneur is often hindered in so many ways that it is not even possible to get his or her business up and running in the first place. If there is no business, there is nothing to support. Even worse, these unfortunate entrepreneurs who are not even able to get their feet on the ground may possess the next important idea that could be the next positive change in our world. It is therefore imperative that as a society we take the initiative and help these innovators to get started. We must spread our philanthropic wings and help them to fly. It is clear that helping these new entrepreneurs is a societal imperative. The next logical question then becomes: what form of support can be given? The first answer is the most obvious one: money. Financial donations are the easiest and most frequent form of philanthropy, with good reason. Without the initial capital there is nothing else to be done. However, there are other important ways in which a small business owner can be helped. One of the biggest ways that a new entrepreneur can be helped is through mentorship. Often a person is great at what they do, but he or she is not a business guru. A person may have invented some innovative technology. Unfortunately, they have never tried to market a product before. It would be a waste to that person and society as a whole if that person’s new innovation was cast aside because the inventor has no seasoned veteran of the business world to mentor them. Another way that a local business owner in the Boston community could be helped is by helping him or her to cultivate contacts. It can take years to build up one’s rolodex and by that time they could be out of business. By giving them a leg up with contact leads, a philanthropist can make a genuine difference in the potential for success in a burgeoning business. In the end, it is the experienced learned over time and passed on to them that is the most important gift a new entrepreneur can get. The experienced business person must teach the novice just as a father teaches his son. Often it is this cultivated long view that is more helpful than a financial investment. Money squandered is wasted, but money carefully invested by an informed new entrepreneur can change the world. 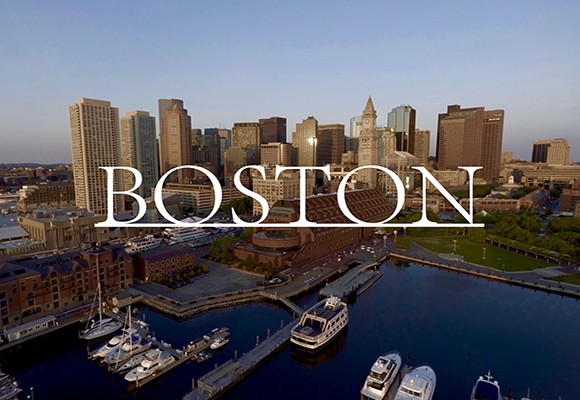 Therefore, it is of the utmost importance that the Boston community take heed to the above, because as it was just opined a moment ago, so again shall it be reiterated here: By giving our Boston community small business owners the help they need, our country and our economy will get the help it needs. We have the capability to offer such help and it is our duty as citizens to do so.